Romania international striker Adrian Mutu has tested positive for a banned substance, according to the Italian Olympic Committee. 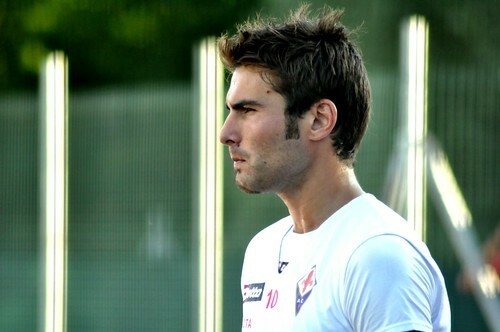 The IOC said that they found traces of anti-obesity drug sibutramine in Mutu’s urine after the match between Fiorentina and Bari on 10 January. Sibutramine is an appetite suppressant drug used for obese people, although it was recently banned in the UK amid fears over the increased risks of heart attacks and strokes. Why Mutu was taking an appetite suppressant drug is a mystery. This is the second time that Mutu has failed a drug test. In 2001 he positive for cocaine while at Chelsea. For that offence he was banned for seven months by the Football Association and the Court of Arbitration for Sport ruled that he had to pay Chelsea 17m Euros (£14.62m) for breach of contract. Because he is a repeat offender, Mutu could now face a four-year ban, which would in essence end his career.